Our 2015 Sci Fi Project was very similar to our "Book of Us Project," where we wrote a collection of short stories as a class, and then published them as one cohesive piece of writing. We used that same process for our production of Pandora's Book, except that Pandora's Book is comprised entirely of science fiction stories that we wrote. For this project, we had to think about the "Logical Leaps" authors need to think about when writing stories, which are often times the difference between science fiction and fantasy. Obviously, science fiction writing is fictional, but it's about keeping it believable. To make sure stayed in science fiction and out of fantasy, we had to research scientific facts and information about whatever topic we wanted to base our story on. We also had the opportunity to have multiple published science fiction writers and guest speakers come in and conduct workshops with us on a variety of topics. Some of these workshops included, but were not limited to, how to construct characters that people would want to read about, how to build your science fiction world, and how to write a story based off a premise, typically a "what if..." question. For our Exhibition, we had a Book Launch at Mysterious Galaxy Science Fiction bookstore in Claremont, where multiple authors wrote excerpts from their pieces, and another published science fiction writer wrote a portion of one her works. I began this project wanting to write about an apocalyptic world in which humanity had continued its excessive use of natural resources and extreme production of pollution to the extent where Earth had become uninhabitable. I was really excited about writing this story, especially since global warming is a topic that I am very passionate about (and that needs to be addressed and resolved now), but then we did an activity in biology class where we had to work with a partner to produce mind maps based on premises after reading some scientific articles (our article being based on NASA's discovery of water on Mercury). 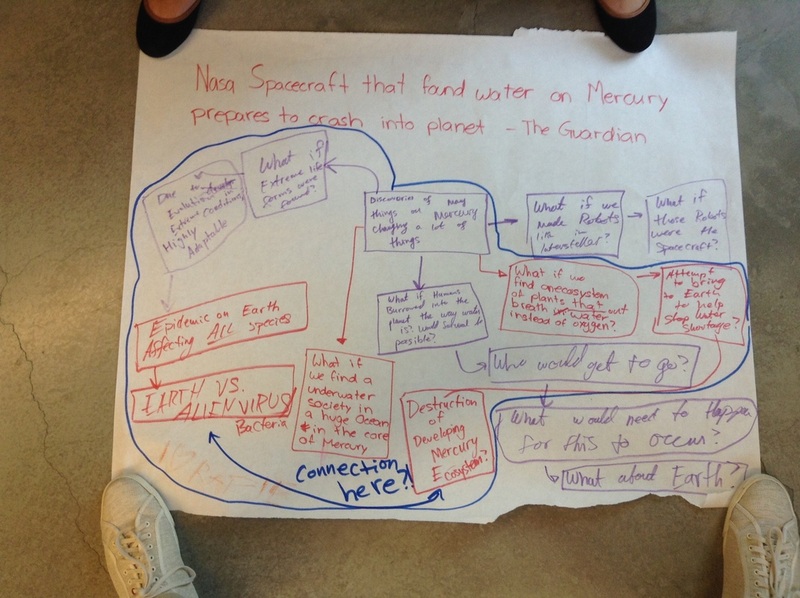 My partner, Sofia Nelson, and I, jokingly came up with the premise, "what if people discovered a water producing plant... on Mercury?" Both our minds began grinding through all the possibilities, and I left my idea about global warming far behind me. I really enjoyed the process of world and character building from this project. If I am being totally honest, I think that is an activity I am going to start doing when I am bored and have nothing to do (like towards the end of summer break). I speak too much to be an efficient author, but damn, world building was so much fun. Constructing characters was awesome because it is literally you building people. What do they look like? How do they think? Why are they who they are? How have their experiences shaped them? What do they like? Who do they like? You get to determine the answers to all of those questions, and many more. How could that not be exciting? The toughest part about that, however, is putting all of your thoughts into a cohesive piece of writing. Making all of your ideas fit together is kind of a puzzle, and sometimes the pieces, no matter how beautiful, just don't fit. Realizing what does and what doesn't fit, and then doing what needs to be done to the things that don't fit, takes an emotional toll on me. As you can see above, the biggest difference between my first and final draft was how long I took the story. When I was writing my first draft, I realized that I had built an ideal world and a plethora of characters, but failed to determine exactly where I wanted my story to go. 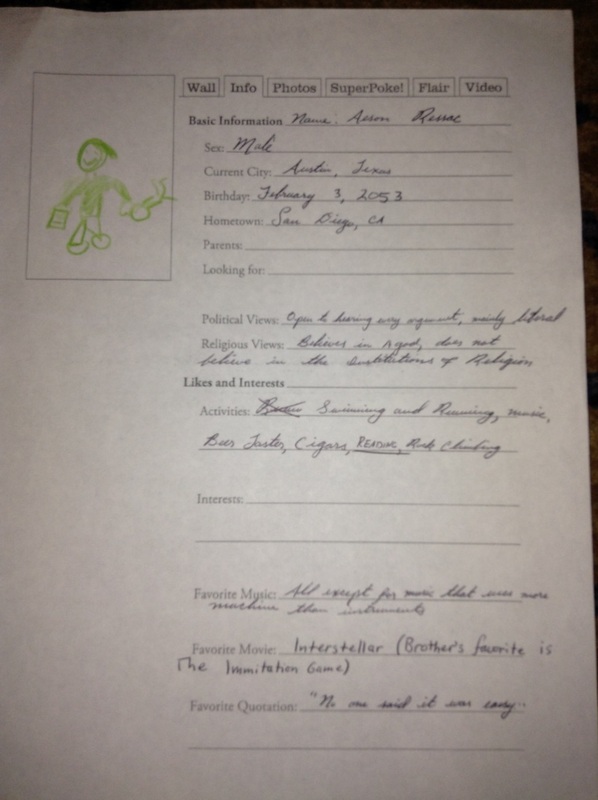 As the drafts progressed, my story took more shape and developed more of an identity. The book was publ﻿ished with my short story in it, but I do not feel that I did justice to my premise or brainstorming process in my final draft. Because of time constrictions, I never got to introduce the majority of my characters or delve deeply into ﻿﻿the personalities of the ones I did. I do plan on coming back to this story one day in the very near future, and will complete the story the way I originally intended﻿﻿. That means that you should visit this blog again in the future if you visited before my final product was complete so you can read my story! All in all, this project instilled in me several writing skills and techniques that I think I will use long after high school is over. The character and world building techniques that I learned introduced me to an entirely new level of brainstorming that I had never imagined before. The world building especially, I think I will be able to apply to writings of all genres, whether they be research papers, book reports, or fictional narratives, because the questions that system makes you answer force you to truly understand whatever it is you are writing about on a variety of levels. That will make it clear in my writing that I am familiar with the topic, that will then in turn strengthen my argument, position or thesis. I look forward to applying this method to future essay and papers in my senior year, throughout college, and beyond.